At MyBracesClinic, we provide the Damon System advantage to our patients. Self-Ligating brackets have its own inbuilt gate that removes the need for tight (though colorful and fun) modules/ ties to hold the wire in place. These specially designed brackets allow for easier expansion mechanics and reduce the need for extractions in some cases. Ceramic braces blend, blend, blend away into the background! It’s less obvious compared to metal braces and a great alternative for working, active adults. On top of that, you enjoy the benefits of Damon braces that allow teeth to move faster and more comfortably by reducing friction. Now that’s TWICE the advantage! 3 of them are wearing Damon Clear braces. 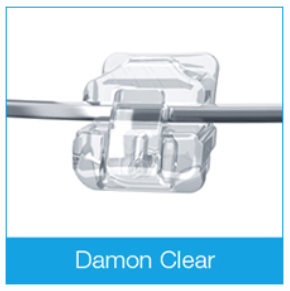 Damon Self-Ligating Braces are incredibly small and low profile for discretion. The rounded corners of each bracket add to greater patient comfort. Its innovative SpinTek slide is an integrated gate within the bracket itself that allows friction-free engagement of the wires. Self-Ligating Braces allow teeth to move faster and more comfortably by reducing friction (it’s for Damon Q thou). Damon Q is easier to keep clean compared to other fixed braces. 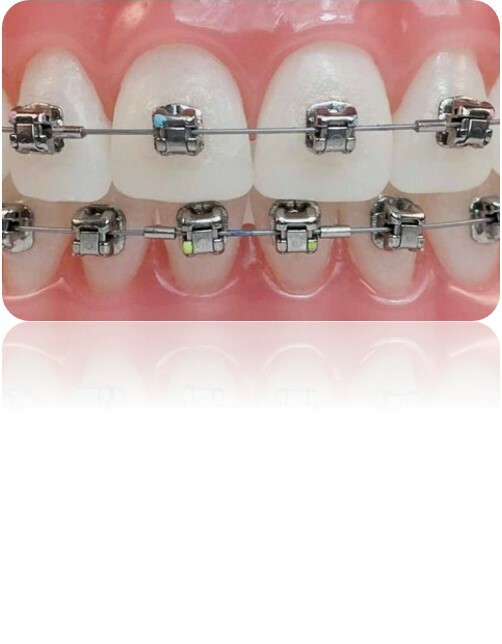 These familiar traditional braces are small, metal braces fixed onto the outer surfaces of your teeth with small colorful ties or modules over them to hold orthodontic wires in place. Let your creativity run free by mixing and matching colors to suit your mood, support your school colors or even color coordinate with your best friend!